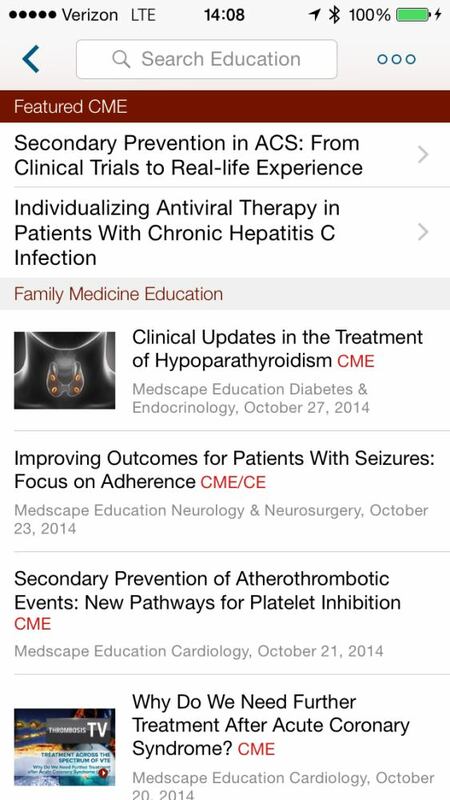 The free Medscape app is available for iPhone, iPad, Android, and Amazon’s Kindle Fire. Medscape is an interesting mix of an app. 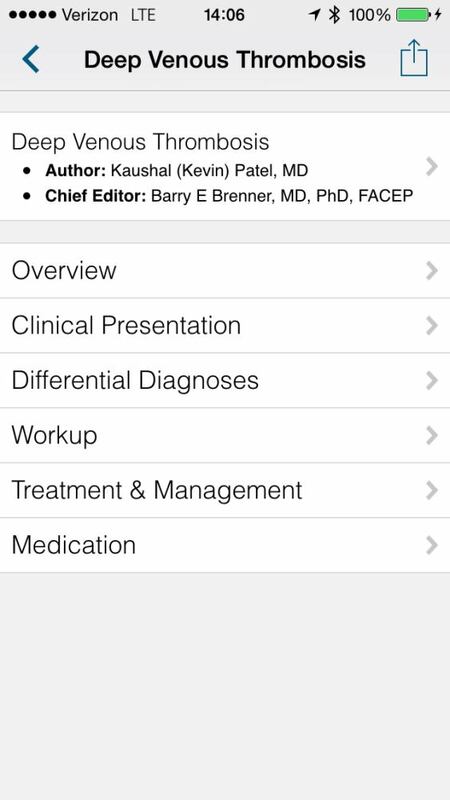 It is part clinical reference, part drug guide, part news aggregator, part CME app. 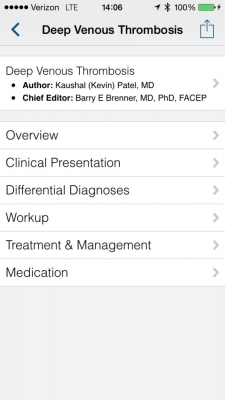 The Medscape app includes an excellent clinical reference section that includes a drug guide and interaction checker as easy to use as Epocrates (and more popular in the iOS App Store) along with a medical disease and condition reference, the popular and up to date Medscape medical news, and continuing medical education offerings. 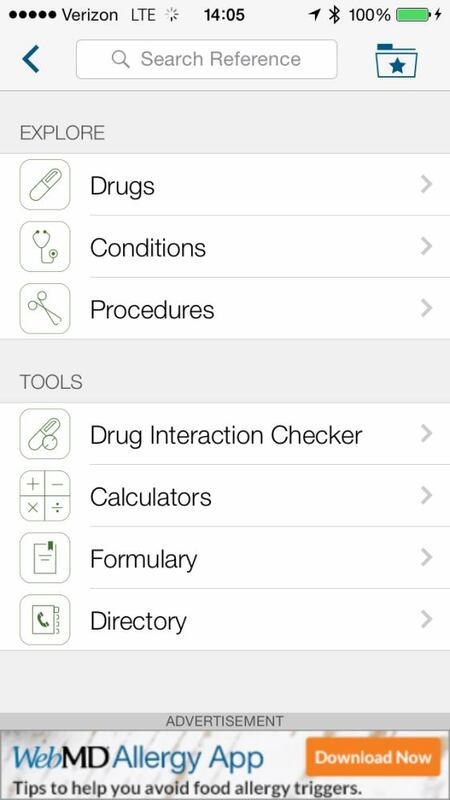 The app itself is free, but remember that many apps including Medscape share user information with the pharmaceutical industry. The best part is that the entire app can be used offline. However, when you compare UpToDate to Medscape, the differences are readily apparent. 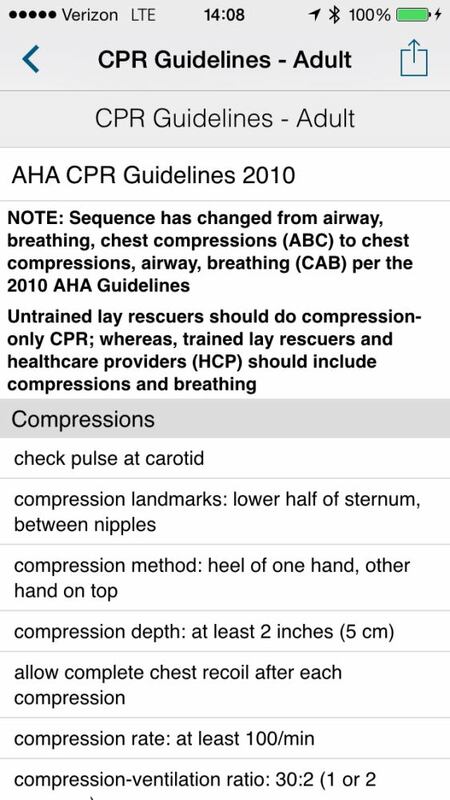 The Achilles heel of the Medscape app is its medical disease and condition reference. 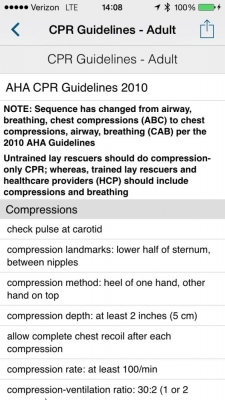 Medscape states that it contains over 4,400 conditions. For a free app, this isn’t bad, but compared to UpToDate’s nearly 10,000 it leaves a lot to be desired. Plus, the specific disease pathologies are only briefly covered. The Medscape app is a great alternative to UpToDate for basic drug dosing and drug interaction checking. The app’s medical news and CME sections rival its competitors, but the medical reference still falls short of finding the most up to date, evidence-based answers to questions at the point of care. We hope with this review you have realized that UpToDate isn’t the defining medical reference tool that many often think — you have choices. Depending on your institution, budget and personal preferences, Essential Evidence, Dynamed, and Medscape are all worthy alternatives. Medscape is the easiest of the three to use while Essential Evidence and Dynamed are the most evidence based, and both of them provide medical content that either rivals or is better than UpToDate. Of the three, we find Dynamed the best alternative to UpToDate with regards to the quality of the content, reliability, and ease of use. If they could improve the app’s platform and delivery, Dynamed could supplant UpToDate as the go-to medical reference. If you aren’t sure if your institution has access to Essential Evidence or Dynamed, make sure to talk to your medical librarian.